Computer peripheral cables are hard enough to keep track of without people throwing around words like “Thunderbolt” and “Type C.” Thunderbolt may be particularly confusing, since this connection technology has gone through several different phases, and is making the jump from Apple to laptops and PCs in general. So, what exactly is it? Let’s take a look. Thunderbolt technology has been around for since the late 2000s, but by the time Thunderbolt 3 had shown up in 2016, times had changed. Specifically, USB-C had emerged as the latest USB standard, an updated and powerful USB cable that could provide up to 15 watts of power for devices (far more than older standards) and up to 100 watts for charging compatible laptops or similar devices. It was a sea change for USB, and clearly the future of many common computer connections. In response, Thunderbolt’s developers made a very smart decision: Rather than try to face off against USB-C, they joined it. Thunderbolt 3 ditched the old DisplayPort connection base, and switched to a USB-C connection, basically combining the two technologies into one particularly powerful hybrid. The move to USB-C allowed the Thunderbolt 3 to make the leap from Apple devices to other PCs and laptops, a process that is ongoing but finally possible. The only downside was the issue of compatibility — the new USB connection isn’t compatible with Thunderbolt or Thunderbolt 2 without a pricey adapter. 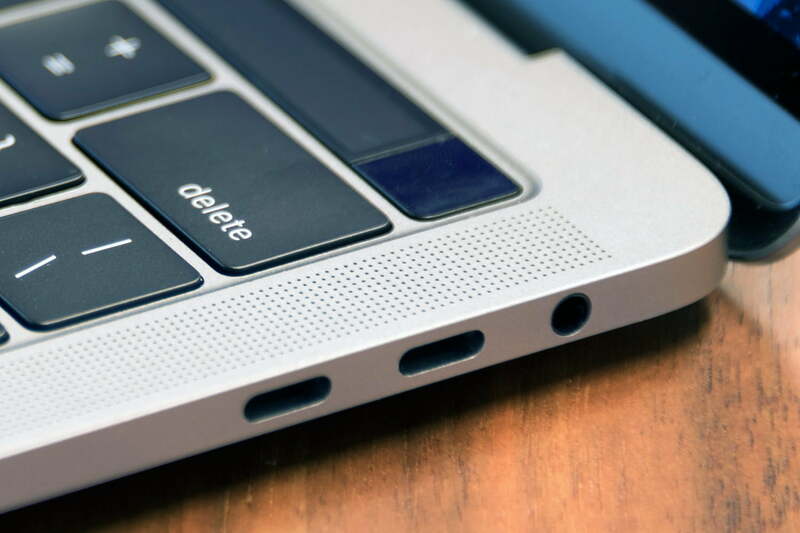 If you’re wondering whether or not your USB-C port is actually Thunderbolt 3, look for that little Thunderbolt symbol nearby, which often differentiates it from a standard USB-C port. Thunderbolt technology originally began in the late 2000s as an Intel project called Light Peak, which was intended to add optical data transfer to traditional data transfer used with computer peripherals (essentially, combining wire and fiber optics). However, they soon found that their prototypes with good old copper wiring were already achieving the results Intel wanted, at a much a lower cost. This new product was then released as Thunderbolt in the early 2010s, at first available only on Apple devices: It was designed to be a particularly powerful and flexible connection. Compared to the (often brand-specific) cables floating around in those days, this was an impressive creation suitable for many purposes. It was particularly promising for designers or engineers who were using laptops but still needed high-powered connections to external storage, high-resolution displays, and similar accessories. However, technology continued to march on, and before long there was a Thunderbolt 2, and a Thunderbolt 3. Because the first Thunderbolt release made it out the door with some help from Apple, it was only available for Macs for the first year or so. Intel wanted to bring the connection to PCs, but for now it decided to stick with Apple exclusivity. In addition to limited availability, the other downside to this new tech was the unique Thunderbolt cables were required, and they tended to be expensive — around $50 or so. Thunderbolt 2 made several major changes to Thunderbolt technology around 2014. Namely, time had provided a more accurate look at how Thunderbolt was being used — and where it should head in the future. The result was a new type of cable that combined the two 10 Gbps bi-directional channels of the first cable, and created a single 20 GBps bi-directional channel that could provide more oomph to peripherals when necessary. These cables quickly showed higher speeds than any other popular peripheral cable of the day. Compatibility with the latest DisplayPort standards came with Thunderbolt 2 as well, since the two technologies still needed to work together. One of the most important changes, however, was 4K compatibility. While still a little ahead of its time, 4K resolution was on the horizon, and users who depended on Thunderbolt connections were glad to know that the highest resolutions would be supported when necessary. Also important for users, Thunderbolt 2 devices were backwards compatible with the original Thunderbolt-compatible devices, even if you wanted to mix and match different generations. Again, the Thunderbolt would stay exclusive to Apple computers until the move to USB-C with Thunderbolt 3. Updates to Thunderbolt continue, as do the growing ways that Thunderbolt is being used in devices. Charging devices using USB-C Thunderbolt connections has become more common, and compatibility has pressed onward to include the latest USB 3.1 cable standard (although this is still a work in progress, so always double-check your cables). New challenges are also growing for Thunderbolt, as impressive as the connection remains. For example, the USB4 standard is on its way, and it finally promises speeds that can rival Thunderbolt 3. According to official data, USB4 will offer two-lane data transfer with total speeds up to 40Gbps. While Thunderbolt is more than just high-speed data, this will put more pressure on the Thunderbolt standard to continue its evolution. There are also security threats to consider. The Thunderclap vulnerability was recently reported to be present on Macs and PCs: It allowed hackers to use the Thunderbolt port, via a device loaded with the right malware, to access and steal files on the computer by bypassing Thunderbolt security measures in seconds. It’s an important reminder that these high-speed connections come with their own risks, and should never be used with unfamiliar devices.